jen, i've reread lisa stockwell's post several times and i do not find it aggressive in any sense of the word. i'm one that stumbled upon nasal irrigation after having suffered from an undiagnosed chronic sinus infection that i may have had my whole life. daily (gasp!) nasal irrigation for the past 6 years has enabled me to swim without plugging my nose (no more burning sensation!) and have far fewer infections, sinus pain, and headaches than i ever recall in my whole life (i am 37). in my opinion, lisa stockwell's statement is accurate and should be taken seriously. Good day to each of you; tis an interesting discussion. My own conclusion after having started nasal rinsing on October 28, 2011, is that it has reduced my chronic allergic rhinitis very, very significantly. My internist urged me to give the rinse a try. I didn't... I went on vacation sick, was hay fever challenged (it is a real medical condition evidenced with low-grade fever and sinusitis), and went to a pharmacy to get the product after days of low-grade sinus infection distress. While discussing sinus rinses with the 35ish year old pharmacist, he said he goes to the rinse immediately at the first sign of a nasal passage issue (allergy or infection problem. Ok, so I made the purchase, rinsed for the first time that evening, twice a day while I was on the trip and all symptoms abated, just disappeared... I have now been rinsing daily for 2+ months, and am symptom free for the most part. My physician does it daily (period). As a sufferer of seasonal allergic rhinitis for several years now, hay fever which produces allergy symptoms during the changing of the seasons (in my case), I look forward to the next season change to discern if I now have the control/tool to keep myself allergy free as it goes from cold to warm/hot weather during the next 3 to 4 months. If you suffer from allergies, I would strongly urge you to try a sinus rinse; I use NeilMed Sinus Rinse. For the few dollars, it provides me with virtually total sinus issue relief! Take care, and give it a try. Btw, the rinse takes 1 to 2 minute(s) in the morning, and I have been sinusitis / allergic rhinitis free since October. Now, go out and make it a gr8 day! Wow Lisa Stockwell, do you hear yourself? I find you as agressive as the pharmaceutical companies themselves. Jon Barron's approach is to help the body heal itself, to find the root cause, not mask it. You are obviously pushing your product to be a long term investment for consumers just like the drug companies want you on their monthly prescriptions. Some of us are looking to cure our bodies so we won't have to depend on long term meds or therapies. You state ""this data supports the published conclusions that positive effects of nasal irrigation as a preventive therapy outweigh any negatives."" To me, if there is a negative, there must be a health risk involved and we have a need and a right to know about it. I want to know if a product will hurt me if I use it everyday! Does your defensiveness come from someone speaking of the negative that you don't want us to know about? Why can't we be happy with selling everyone a neti pot and having them use it on occasion? That's a lot of neti pots! Why do we need to have everyone severely addicted to products to keep someone's pockets lined with passive income? I guess that is what it has come to, our greed at the expensive of anothers health. What a shame! I trust Jon Barron's advice over any salesman's. He honestly wants to help people. I learned a lot from this article, not just about the proper neti use but society too. In our world today there is so much information it is hard to know what you should take, do, who to follow or trust. A real battlezone unfortunately for the all mighty dollar. If we put that time, energy, effort and money into helping the world get healthy we would see amazing results. I took almost 15 years researching through a maze of traditional and alternative health before I found Jon Barron. His knowledge is outstanding, his products are superb and he even offers his book free for those who can't afford it. He is not afraid of stepping on anyones toes to get to the truth, just what the world needs more of! I depend on the miracle doctor to help me to the truth. Thank you Jon Barron, keep up the incredible work! as with anything else, you just can't over do it. short term use is still strongly encouraged. This unpublished abstract is already meeting with skepticism from specialists in the field (Otolaryngologists and Allergists). While sinus rinsing won’t eliminate colds, sinus infections and allergies altogether, research shows that it will reduce their frequency and the duration and intensity of their symptoms. NeilMed has systematically collected feedback from thousands of physicians as well as customers and this data supports the published conclusions that positive effects of nasal irrigation as a preventive therapy outweigh any negatives. We have posted the published studies on nasal irrigation on our website for those who want to do their own research (www.neilmed.com usa/publications.php). You can also go to the website to post questions and comments (http://www.neilmed.com/ask/index.php). We welcome the conversation. THE RESULT? I stopped using my allergy meds, and only have to use occasionally. The research in this article is nasal irrigating "twice" a day, I wonder what the results were for nightly? I lived with an undiagnosed deviated septum for years. When I first started using the saline irrigation it was a god-send and I used it every time I got a sinus infection or head cold. Unfortunately because of the deviation that meant I was rinsing a lot. I noticed I was getting sinus infections more frequently. After a trip to the otolaryngologist I was scheduled for septoplasty. They recommended the sinus rinse post-op. During the 2 weeks post-op, despite being put on two rounds of antibiotics I've had 2 sinus infections and can feel them going septic again. I found this after I started to wonder if the rinse was causing it. I hear you, i was in an identical situation last year. I bet you were also terrified when the infections went septic, the surgery didnt cure the infection, and no amount if antibiotics could help. In fact, i have found that the antibiotics mske it worse. In other words, there is absolutely nothing an ent canreally do to help people like us. Im still sick with a sinus infection that flares up every coupke months, for almost 3 years. The best ive felt was when i went 8 months without antibiotics and rinses, took steady high quality vitamins, and juiced fruits and kale/spinach everyday. Nothing else appears to help. Good luck!! I was told to try nasal irrigation because of my allergies and constant sinus problems and colds. This ended up giving me a sinus infection with some of the worst post-nasal drip and mucus buildup I have ever had. I told to try Nasal irrigation because it is the process which helps to clean our nose in cold season for good breathing. Being a long time chronic sinus sufferer, even though I rinsed daily using different kinds of brands and machines for almost a year, I would never fully be rid of sinus infections that kept popping up which felt like they were almost every other month despite my best efforts to dutifully rinse and eat a healthy diet. I didn't want to resort to surgery and when I read this article, I remember thinking that before I rinsed religiously I didn't have such re occurring sinus infections. So to experiment, I gave up rinsing altogether. To my amazement, I quit getting them until last week! It has been 8 months now since my last sinus infection, and I know why I have one right now, it's because I've been pushing myself all month with my new business to the point of exhaustion. So I think one sinus infection a year is a better trade off than 8!!!! After two days of taking care of myself I'm feeling better already, and with NO rinsing or any kind of nasal spray. The body can heal itself !!! I use the NeilMed and it is fabulous! And I am not one to advertise anything. I found the neti pot to be too complicated to use. I love it. I was getting sinus infections at least 6 times a year. The pain was incredible and the pain killers and sleep aids almost killed me. I started using a neti pot twice a day. Now I get an infection 1 or 2 times a year at the most. I thank god for whoever created the neti pot is a blessing. I havve used the Neli Med squueze bottle with destiled water, saline pack and 5 dropps of grape seed extract 2 to 3 times a week. I use it whne I feel a cold comming on, and have not had a sinus infection in over 4 years. I believe the process to work especially during the winter whne the air is dry. I've used the NeilMed sinus rinse with distilled water and their their premixed packets, for over two years now, including following several sinus surgeries. I also started to use it once or twice daily for some allergy issues. Unfortunately, using it at that frequency caused me LOTS of problems, especially incredibly dry and swollen sinuses. In my particular case, the saline seems dry things out rather than help. And it took me months to realize this was the cause. I knew my sinus were dry, so of course I'd irrigate them with the rinse (just like all the recommendations say), and what do you know...and hour or so later they'd be insanely dry and causing me so much distress. I would attribute this to allergies and use the rinses even MORE, making the problem worse and worse all the time. It was to the point where my nose didn't run anymore like a regular person, and this went on for months. There was almost no mucous whatsoever, and while that may sound enviable, believe me, it's not. It's an incredibly unnatural and very distressing feeling. And again I assumed it was due to some other problem and kept using the rinses to moisturize things, not realizing it was the rinses themselves that were totally stripping away all the mucous and making my nose incredibly dry, irritated, and swollen. Finally something clicked in my head, and within a day or so of stopping the rinses, all this dryness went away and I finally started to feel normal again. I still have "real" problems due to allergies (or whatever), but NOT the insane dryness, sensitivity and swelling which was 100 times more distressing than the underlying problems that I'll now deal with in some other way. The sinus rinses may help for some people, and in specific, limited cases they worked for me too. But personally they cause me much more harm than good if I use them daily just to (supposedly) prevent problems. If you're getting nothing but benefits from doing so, that's great. Just know that this is NOT the case for everyone and some people will be worse off by using sinus rinses so frequently. I agree with you the dryness is the greater of two evils. When I was rinsing daily I was getting 3-4 infections per year, now I am down to 1 if any at all. The dryness contributes to the infections, making the sinus more prone to infection. Plus pumping all that water into stuffy sinuses is a benefit to certain bacteria. I rinse following times of bad allergies or on the tail end of a cold when the worst of the congestion has passed, but only 1-2x a week. That flushes out the bad gunk but lest your sinus heal IMO. Also, after a rinse I apply a good amount of vaseline into my nose carefully with a q-tip to help the moisture and good mucous re-accumulate. I understand you should not do this daily as you can get pneumonia, but 1-2x a week for a few weeks wont give you that effect unless you do it right before bed ( I prefer to rinse in the morning ). I had sinus surgery last year because of chronic sinusitits and have been sinus rinsing ever since. I seem to have more colds and infections now however than before but when you do have a nasty infections or virus etc, the sinus rinsing does help a lot. I think the advice is right, dont do it every day but do it when you have a cold / infection. It is common sense that if you interfere with the body's natural mechanisms, it can cause greater problems. Sinus rinsing is good, is healthy but washing out your natural good mucous 2-3 times a day cannot surely be a good idea. I have stopped doing it daily and so far, so good. Nasal irrigation works, pure and simple. Salt kills the bacteria that comprises colds and sinus infections. Has worked wonders for this chronic sinus sufferer. Four years later, no infections. I started using Neil Med sinus rinse 2x/day sept 2013. It is now march 2014 and this is first cold I've had since using. This is coming from someone who routinely got a cold every other month regardless of the season. To go an entire winter w/out catching a cold, when many of my friends were sick...that seems to be more than coincidence. It had been since July 2013 that I'd been sick w/any respiratory infection. 8 months!!! I will continue doing sinus rinse 2x a day and see if I am as fortunate through the rest of this year as well. Through Chicago winters none the less! Just started using NeilMed irrigation on recommendation of my Doctor. I have a sinus blockage and have had six sinus infections this year. I am on my second day and I'm starting to get some pretty ugly goo coming out. My nose is getting dry and uncomfy. I just read that almond oil or coconut oil help with this. I happen to have almond oil, so I'll give it a try tonite after my last rinse. I was told that vaseline is not safe to use in your nose because it may cause pneumonia if inhaled. I rinse twice a day, btw. For obvious reasons, we cannot diagnose or prescribe for specific conditions. That said, it sounds like you have multiple symptoms, affecting different areas of your body. There are some conditions that could actually tie most of these symptoms together—but those conditions would be unlikely to be resolved through the use of a neti pot. You might want to consider going to a holistic or natural healer for a diagnosis to see if they can tell you what’s causing your problems. If you know the root cause, then it’s much easier to figure out a treatment protocol to address all of your symptoms simultaneously. I am immune deficient. The nasal rinsing actually causes me to lose all sense of smell and taste. When I used it regularly I went 4 months with no smell or taste. It was awful. I get amazing results from the McNeil rinse. My sinus pressure is relieved, the shadows under my eyes diminish, and I even feel more energized and healthy and clear-headed overall. But, unfortunately, it seems that using it (approximately once a day to every other day) may have led to a middle ear infection, but I can't be sure. I haven't had an ear infection in many years and I've only been using the rinse regularly for about two months. It's hard to say, but I'm going to be more cautious now and rinse once a week. I want to add that I was putting a drop of Ponaris in my nose every other day to help with the dry sinus problem, in case the nasal rinsing was too drying. But I had stopped (too busy and forgot) prior to the ear infection. Maybe it was helping. Ponaris is a great tool and it's available over the counter. The iodine, eucalyptus and cajeput (similar to tea tree) theoretically have antibacterial and antifungal properties. It's worth a try, especially in cold, dry winter air like I have in my climate right now. 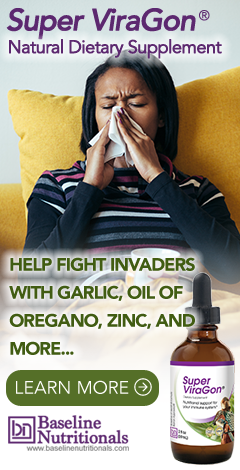 I have been suffering from reoccurring sinus infections for 20 years. I believe mostly from mold. I would get so sick, I would have to go to the Doctor. Antibiotics, prednisone, narcotic cough syrup. Nebulizing. I would get well, then in a couple months or weeks the symptoms would reappear. It got so bad and so expensive, I started buying aquarium antibiotics at the pet shop. I suspect a lot of people do, because it was often sold out. I ain't bragging or recommending. Just admitting. Anyway, I have been nasal rinsing with premix saline powder and a drop of tree tree oil once a day for a couple months and it is like a miracle and cheap.I was really getting sick when I first started rinsing 3 times a day at first and my symptoms cleared up in 3 days. I am glad I read this article and will stay aware of possible side effects or residual infections. As a 48 year old woman who does not use drugs, I usually suffer through sinus problems for months until it clears. But this last time hit me really hard with thick sick mucus that refused to move. Nelimed was a joke to me at first and I thought the person suggesting it was giving me a heil mary but once I tried it, I am not knowing this needs to be used on a basis to clear all pollen and crap that is in the air and up my nose. I am much more concerned with that then the solution which appears to be proven over and over. Anyway I can't say enough about how this simple solution (organic salt water) just irrigates and clears out the infection. I am so grateful that I did it!!! Thank you so much for this valuable information. It is people like you that really make a difference in the lives of people with nasal polyps. I suffered for 12 years from nasal polyps and nothing I tried worked. Fortunately, I found out about a natural way that finally got rid of my nasal polyps for good.